This was only a fortnight ago and yet, here we are, bracing ourselves for ‘Mark II’ of the Beast from the East! My second walk of the previous experience would again set off from my doorstep in Wrington. Although the roads had been cleared, I wanted to keep things very local. This entry was posted in North Somerset and tagged Barley's Farm, Beast from the East, cleeve, Cleeve Woods, congresbury, Goblin Combe, hiking, king's wood, North Somerset, Storm Emma, UK, Walking, Wrington on 17/03/2018 by Olly Parry-Jones. As temperatures appear to have settled at fairly comfortable and spring-like double figures, there’s a suggestion that the southern half of the UK could be set to face further snowfall and sub-zero temperatures, as of the coming weekend! Some sources contradict this. All I know for certain is that the wind continues to head or way from the east… Just as it did over a week ago now, when we saw the first significant snowfall for several years. This entry was posted in North Somerset and tagged 2 Rivers Way, Beast from the East, Church of All Saints, congresbury, hiking, Iwood, March 2018, North Somerset, Siberian winter, snow, Storm Emma, Two Rivers Way, UK, Walking, Wrington on 14/03/2018 by Olly Parry-Jones. 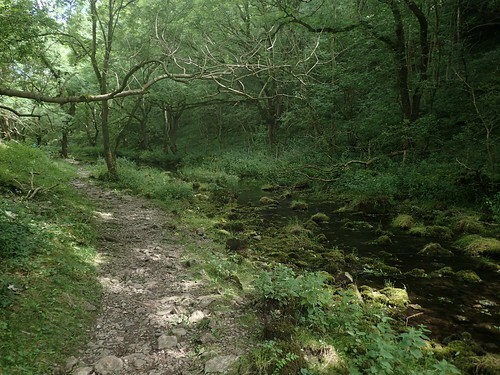 I’d reached Lathkill Dale; somewhere beyond the halfway point in my walk. This entry was posted in Peak District and tagged congresbury, Conksbury, Conksbury Bridge, Derbyshire, Derbyshire Dales, Lathkill Dale, limestone, Middleton-by-Youlgreave, Over Haddon, Peak District, River Bradford, River Lathkill, The Walking Englishman, trig pillar, trig point, White Peak, Youlgreave on 19/10/2017 by Olly Parry-Jones. Some believe that today marks the official end of summer with the arrival of autumn; accompanied by the usual comments of ‘Wot summuh?’, when in fact, all the good stuff seem to come and go before rain-ridden August. This entry was posted in #walk1000miles and tagged #getoutside, #walk1000miles, challenge, congresbury, hiking, mileage, North Somerset, Olly Outdoors, outdoors, Peak District, personal challenge, Somerset, Three Peaks Walk, UK, Walking, West Somerset Coast Path, Wrington on 02/09/2017 by Olly Parry-Jones. As far as I’m aware, Cadbury Hill near Yatton is the one former hillfort site that’s closest to my home in Wrington. For a number of reasons, I’d not been there since February 2013. On this walk, I’d set off from my doorstep, leaving the car alone to head for its summit. This entry was posted in North Somerset and tagged 2 Rivers Way, boundary stones, cadbury hill, congresbury, congresbury estate, corporation woods, hiking, hillfort, king's wood, North Somerset, river yeo, TW stones, Two Rivers Way, Walking, Wrington, yatton on 02/05/2017 by Olly Parry-Jones. As someone who’s grown up within a five-miles radius of certain North Somerset villages, I like to think that I now know my local woodland and walking areas quite well. But it was while out walking the woods of the Congresbury Estate last weekend, that I encountered a boundary stone that was unlike many others I had seen around the country. 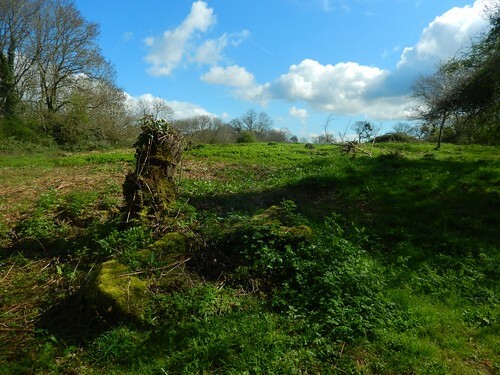 This entry was posted in North Somerset and tagged archaeology, boundary stones, cleeve, congresbury, congresbury estate, Corporation Wood, North Somerset, parish boundary, perambulation, TW stones, Walking, Wrington, yatton, YCCCART on 19/03/2017 by Olly Parry-Jones.